The Days of Johann, an agility dog! 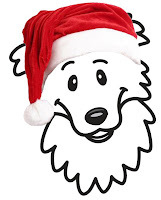 : Day 11 - Johann's Howling Howliday Giveaway! Day 11 - Johann's Howling Howliday Giveaway! We have more cool prizes to give away today! Today is the eleventh day of Johann's Annual Howling Howliday Giveaway! There are still lots more chances to win. So check back, 'cause we'll be giving away something every weekday thru December 24th! Yesterday I had a wish, a wish that every reader that reads my blog give just one $1 to our designated charity - A Place to Bark. Network for Good (the widget to the right) is now only accepting a minimum of a $10 contribution. If you can give $10 or more, that's pawsome! If you'd like to donate that $1, you can click here and go directly to A Place to Bark's paypal page and donate; or you can go to A Place to Bark How You Can Help Page and click their PayPal button. PayPal will accept any amount you wish to give. We sure would appreciate your help in helping us get some needed funds to A Place to Bark! Now, on with the prizes....we have three contributors today who have donated some great prizes for our winner. PeakWaggers is graciously donating some of their PeakWaggers Gourmet Trail Food & Jerky! The folks at PeakWaggers are hikers like me, Mum and Gracie! Taking food on long hikes and trips was challenging, so they went to work figuring out how they could easily take food for their four legged pals on hiking trips easily, safely and keep it light at the same time. That's how PeakWaggers was born! PeakWaggers gourmet dog meals are light-weight, compact, non-perishable and nutritious. Designed with those on-the-go in mind, PeakWaggers is ideal for anyone who travels with their dogs. Their products are made with all-natural, human-grade ingredients that include beef, chicken, vegetables, potatoes, rice, bulgur wheat, barley, oats and sweet potatoes. They are high in protein, fat, and fiber, and are perfectly seasoned to make any pooch’s mouth water. No sodium or preservatives are ever added. PeakWaggers food is great for intermittent or supplemental and on the go feedings. Our second contributor today is Pet Cremains in Glass and they are donating a $120 Gift Certificate toward the purchase of a Loving Memory Necklace. 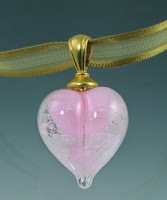 Pet Cremains in glass are glass artists who create a work of art that contains a portion of the actual cremains of your beloved pet and keepsakes that encase hair clippings, tags and collars creating a close and loving memory of your pet. In today's highly mobile society people can be separated from an honored pet's resting place. So they created portable Pet Memorial tributes and Pet Cremation Jewelry that can always be part of your life. All their tributes are handmade, in the USA and individually signed by the artist. And all of their work is custom and made to your order. Their beautiful, handmade creations will keep your pet close to you always. 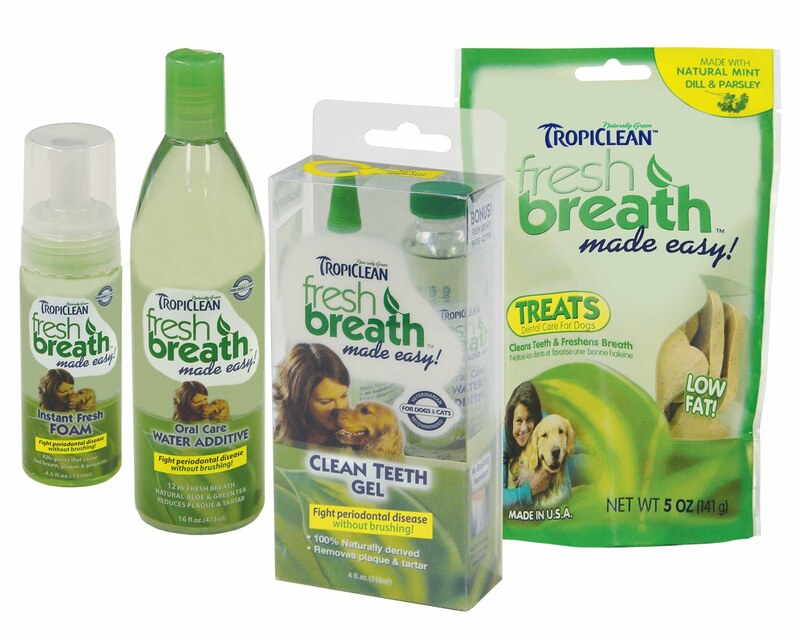 Our third contributor today is TropiClean, fresh breath made easy! And they are donating a clean teeth, healthy breath package containing their Clean Teeth Gel, Dental Treats, Instant Fresh Foam, and Oral Care Water Additive! At Tropiclean they strive to provide their customers with the best quality products. They are proud to be an environmentally conscious company. Their bottles are made from recycled materials (PCR), post consumer resin, even their sleeve labels are made from corn which makes them natural, renewable, biodegradable and 100% recyclable! As a US based manufacturing company, they have selected products and materials made in the USA, from their bottles to our caps. 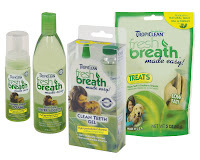 Their line of Tropiclean, fresh break made easy is a new generation of natural products that make it easy to freshen your pets’ breath while keeping their teeth healthy and clean – without brushing. 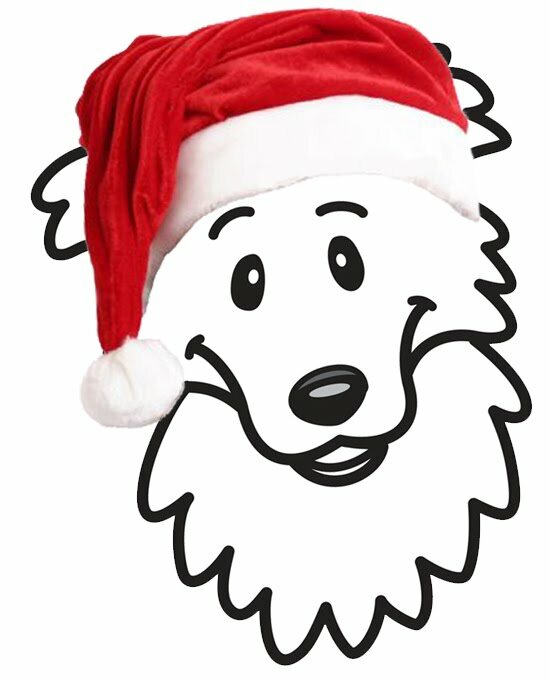 Remember to help the less fortunate this holiday season and raise funds for our designated charity - A Place To Bark! It's easy to donate! Just press the donate button on the widget in our sidebar to donate $10 or more. Or go to A Place to Bark How You Can Help Page and click their PayPal button to donate whatever you can. 1. If you're on FB, go to PeakWaggers Facebook page and 'like' them. 2. If you're on FB, go to the Pet Cremains in Glass Facebook page and 'like' them. 3. If you're on Twitter, go to the Pet Cremains in Glass Twitter page and 'add' them. 4. If you're on FB, go to the TropiClean Facebook page and 'like' them. That's it, now go get started...you have until 11:59 PM ET tonight (December 15, 2010)! For all the fine print rules, click here. Contest is open to all US residents, 18 years or older in the 48 contiguous US states. Apologies to our friends North and South and across the pond. EDIT: We have a winner! Susan is the winner of today's pawsome giveaway...congratulations! sara at theniffs dot com i have liked everyone on facebook! I'm not on Facebook or Twitter or anything. I just have email but I loved all the websites I visited for the giveaway! kimberly dot annis at gmail dot com. Thanks!